Harry Procter has led and inspired the development and elaboration of the relational and systemic aspects of PCP. 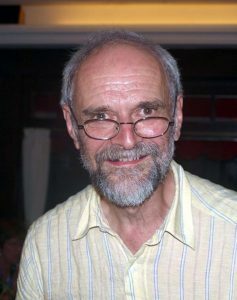 He worked for thirty years as a clinical psychologist with the NHS in the West of England specialising in child and adult mental health, childhood learning disabilities and autism. He has published 25 papers and chapters on the theoretical, methodological and practical aspects of his approach and he has edited two volumes of the selected papers of Milton H. Erickson, and his current interests include the work of Charles Pierce. He is Professor Emeritus at the University of Hertfordshire UK.